Take a look at this beautiful renovated ranch home in a highly desired area. This 3 bedroom 2 bath home is full of charm and is ready for you! 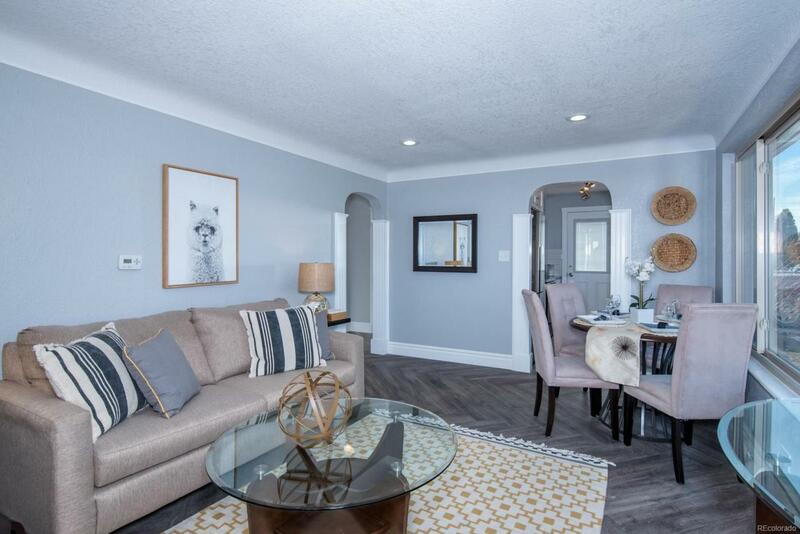 Home showcases brand new quartz counter tops, stainless steel appliances, all new white cabinetry, new tile surrounds, new lighting, new interior paint as well as new flooring through out. Enjoy the privacy of your master bedroom and master bathroom with a custom walk in closet with built in cabinets for all your storage needs. Home has 2 car garage that can be accessed through alleyway. Close to Stapleton, Denver International Airport, Downtown Denver, City Park and much more!